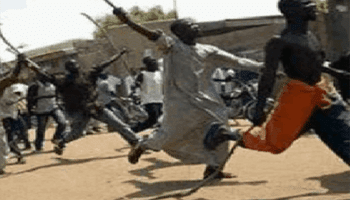 Unable to bear any longer, the unceasing killing and kidnapping of their relations for ransom by bandits, residents of some parts of Zamfara State, yesterday, trooped out in protest against the worsening insecurity in the state. As the protest assumed a riotous dimension, the Zamfara State Police Command restricted movement in Tsafe Local Council, the epicentre of the protest. Meanwhile, President Muhammadu Buhari, yesterday, expressed sadness over the rampant killings in Zamfara and neighbouring states and authorised an assessment trip to Zamfara and Sokoto states by the Chief of Air Staff, Air Marshall Abubakar Baba Sadiq, today and tomorrow. He reassured residents of states plagued by armed bandits, including Zamfara, Sokoto, Kaduna, Niger and Taraba, that his administration was committed to their safety and will continue to ensure that security agencies work round the clock to protect local populations.